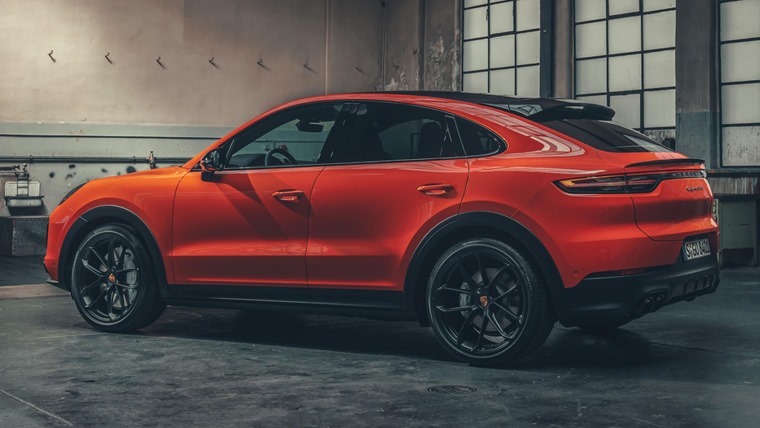 Porsche has revealed pics and details of the Cayenne Coupe – a rakish SUV designed to compete with the BMW X6 and Mercedes GLE Coupe. 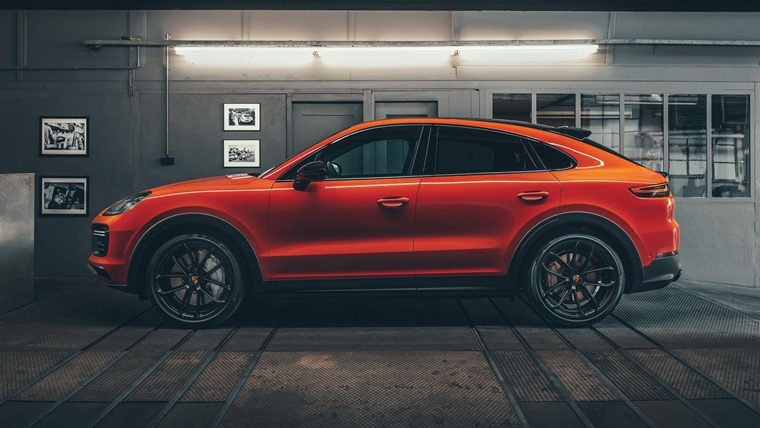 From the front, you’ll be forgiven for thinking it’s an ordinary Cayenne, with the bonnet, grille and headlights mirroring the standard SUV like-for-like. However, move around the back and you’ll find a much more rakish design, with a sloping fastback-style rear end. The wheel arches have also been extended, while two rear spoilers now feature – the one below the tailgate automatically extending at speeds of more than 56mph. The cockpit mirrors the standard SUV, too, with a 12in infotainment system standard across the range and a digital driver display separated by a centrally mounted rev counter. 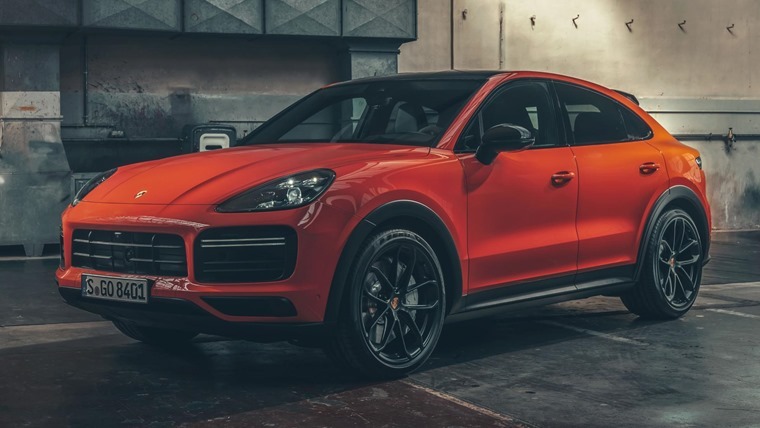 In standard guise, the Cayenne Coupe comes with 20in alloy wheels, a panoramic sunroof, parking sensors and Porsche’s ‘Sport Chrono’ pack. The high-spec Turbo will be priced from £104,729 and, aside from a twin-turbo 4.0-litre V8 producing 534bhp and 770Nm of torque, gets a sports exhaust system. The more standard model features a 3.0-litre V6 turbo capable of 0-62mph in six seconds. 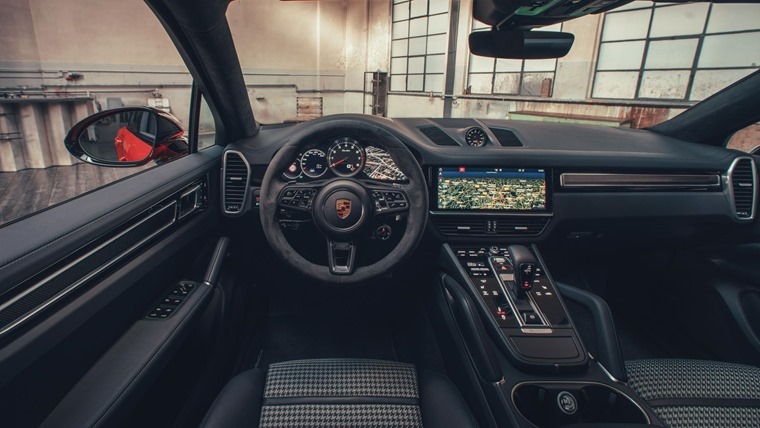 The Cayenne Turbo whittles that down to 3.9 seconds, and increases top speed from 150mph to 177mph. No diesels will be offered, although it’s likely it’ll get plug-in hybrid tech at some point in the future. 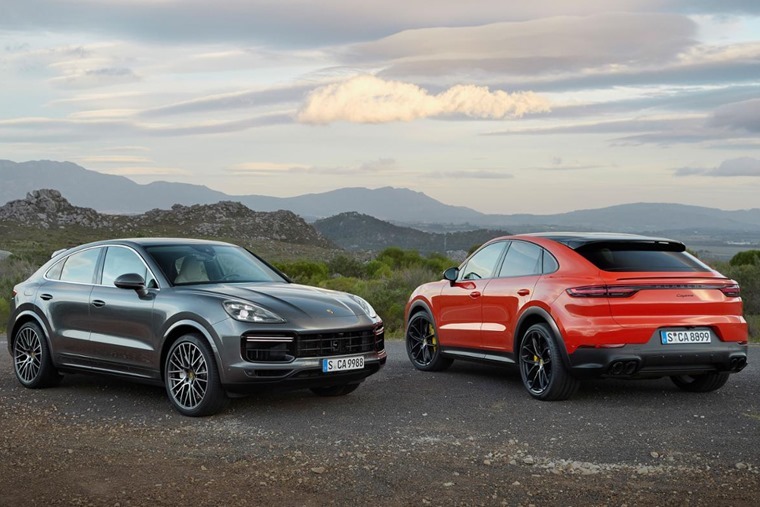 We’ll bring you lease deals on the Cayenne Coupe as soon as they’re available. In the meantime, check out lease deals on the Cayenne SUV here.